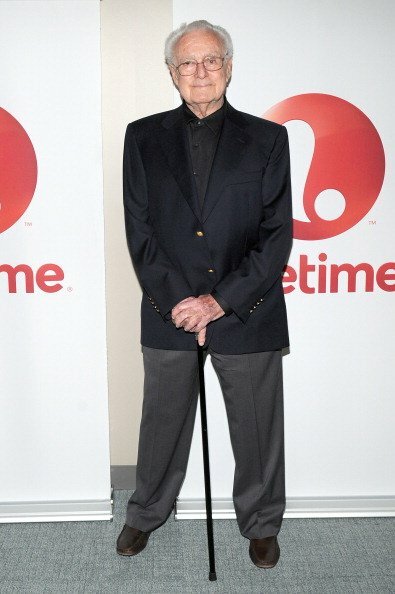 Home Tags Posts tagged with "robert halmi sr"
TV producer Robert Halmi Sr. has died at his New York home aged 90. Robert Halmi Sr., whose work won dozens of Emmy Awards, began his career in the US as a photographer before turning his hand to TV. His many productions included Gypsy starring Bette Midler, Gulliver’s Travels and Alice in Wonderland. Robert Halmi Sr., who was born in Hungary, worked with his son Robert Halmi Jr., with the pair making a number of big budget productions in the 1990s. In 1994, they produced an epic TV remake of Civil War classic Gone With The Wind, which Robert Halmi Sr. dubbed “an eight-hour study in American history”. Numerous projects were headed up by big stars and landed impressive ratings, including The Lion in Winter which starred Glenn Close and was screened in 2004. Robert Halmi began his career in television in the early 1960s and continued to make programs well into his senior years, including Neverland, based on the story of Peter Pan in 2011, and a remake of Treasure Island a year later. He was also executive producer on the 13-part Olympus mini-series, which has yet to be completed and is due to air next year on the Syfy channel. “With the creative process, everything has to be nurtured. I know on every project, every day, where it stands dollars-and-cents-wise, but I also know if someone has a cold,” he added. Aside from numerous prizes for his productions, Robert Halmi Sr. was honored with a prestigious Peabody Award in 1999 for his personal contribution to the business. He was hailed as “perhaps the last of the great network television impresarios”. Before emigrating to the US, Robert Halmi Sr. was twice captured during the Second World War in his native Hungary, once by the Nazis and again by the Soviets while spying on behalf of the Americans.